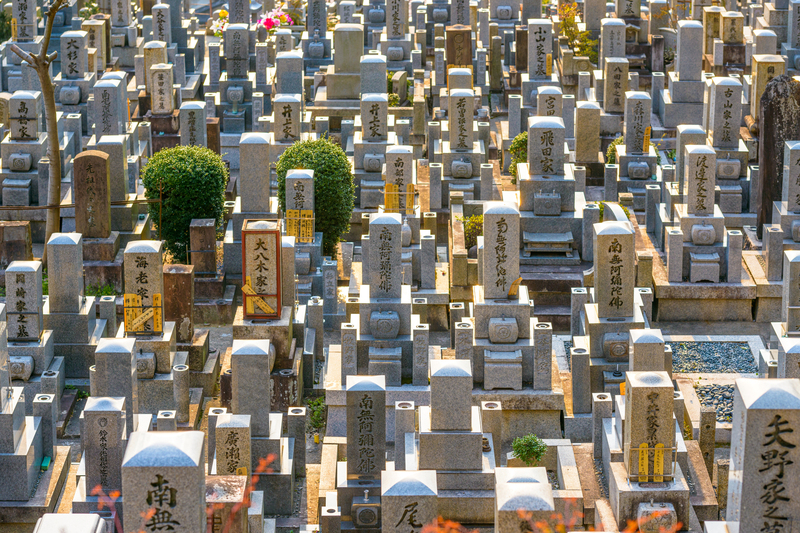 “In Japan today, talking about death is taboo,” Kobe University medical professor Yoshiyuki Kizawa told the Asahi Shimbun earlier this month. It is remarkable that this should be so. Japan of all nations should be primed for such a discussion. Its traditional culture is breathtakingly forthright on the subject, and its present and future, with the world’s oldest and fastest-aging population, threaten to be engulfed by it. Few issues press harder than that of how we must, should or want to face death. A taboo seems an unaffordable luxury. Playwright Chikamatsu Monzaemon (1653-1725) was the poet of love-suicide. In a puppet play first performed in 1703 he has a pleasure quarter prostitute declaim to her penniless merchant lover, “And if a time should come when we can no longer meet, did our promises of love hold only for this world?” Based on a real-life incident, the play inspired emulation. Love became inseparable from thoughts of death. Love-suicide became what today we’d call a boom. Wherever the taboo comes from, it’s clearly not rooted in the native culture. Maybe we need seek no further than the natural human impulse to avoid unpleasant thoughts. We are born to die and yet long to live. Death is inexorable and utterly mysterious. Believers have their religious consolations, but even they mourn death rather than celebrate it. Why talk about it? Why darken the fleeting time we have among the living with morbid thoughts that won’t alter the grim reality in any case? In simpler times you probably could get away with not talking about it. You died when you died. You died when death took you. But there’s nothing simple about these times. Modern medical science can extend life, and extend it again, and is committed to doing so, but it can’t extend it forever; not yet, anyway. The more we age the more ill we’re liable to be, requiring treatment increasingly complex, invasive, painful, expensive and, ultimately, ineffective. Do we want to live as long as possible, at all cost? Or not? Palliative care, death with dignity, assisted suicide, euthanasia are among the choices that present themselves, with or without government endorsement. In Japan, so far as the latter three are concerned, it’s mostly without. Taboo. Euthanasia became an issue in Japan in 1962. The case involved a son who prepared poisoned milk for his terminally ill father. He had his mother feed it to the sick man, without telling her what it was. Was this murder, or filial piety? The father had begged the son to put him out of his misery. The Nagoya High Court handed down a prison sentence of four years, with three years suspended. Journalist Yoichi Miyashita, writing in the August issue of the monthly magazine Sapio, reviews a more recent, more tangled, more tragic case. In 1991, a physician at Tokai University Hospital actively ended a patient’s life. The names of the people involved have not been made public. Sapio calls the physician “Dr. Aoki” and the patient “Tetsuro Katsura.” Katsura was a 58-year-old lathe operator who learned during a routine medical check in March 1990 that he had bone cancer. He was hospitalized, released, hospitalized again. Miyashita describes the Katsura family as something of a physician’s nightmare. They couldn’t seem to agree among themselves what to do. Some wanted to press ahead toward a possible cure. Others urged facing the fact that the illness was terminal, in which case the main goal should be not treatment but palliation. Doctor after doctor resigned from the case, apparently unable to deal with the family. In April 1991, the patient became comatose. Dr. Aoki, 34 at the time, took over around then. Whether exclusively in response to that plea or with other factors in mind as well, Aoki proceeded to inject the patient with the heart-stopping drug potassium chloride. 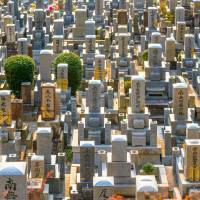 Japanese law is vague on euthanasia. It neither permits it nor forbids it. Where is the fine line that separates it from murder? The 1962 Nagoya ruling laid down guidelines. The patient’s condition must be incurable. The suffering must be unendurable. Most pertinently — the point on which Dr. Aoki’s defense foundered — the patient’s will must be known. It wasn’t. The patient was in a coma. The son on whose plea Dr. Aoki claimed to have acted denied in court having requested euthanasia. In March 1995, the Yokohama District court found the doctor guilty of murder and sentenced him to two years’ imprisonment, suspended. Twenty years later Miyashita tracked him down. He found him operating a clinic in Kyushu. For three years he had done office work in a clinic run by his father-in-law. Then, returning to medical work, he took over the clinic founded by his father. Miyashita did indeed think so. He sympathized, understood, acknowledged Aoki’s grievance against the media, which had been less than objective. But Dr. Aoki, as the first Japanese physician to be convicted in a euthanasia case, was in a unique position, Miyashita said, to launch a serious debate — to once and for all puncture the taboo. No dice, said Aoki. Miyashita was, more or less, thrown out. The taboo remains. In 2015, Britain’s The Economist magazine, surveying global “quality of death,” ranked Japan 14th among 80 countries.